The British police is investigating a councillor over claims she bribed elderly voters with cakes to win a local election. 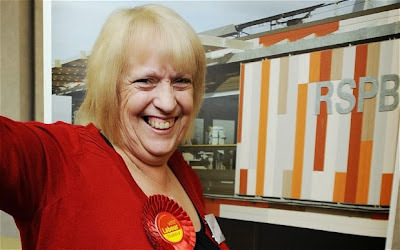 Susan Shinnick, a Labour councillor, won the seat in the Stifford Clays ward in Thurrock, Essex, following a by-election last month. Essex Police confirmed they are looking into allegations she bought elderly voters cakes to boost her campaign. A spokesman said: "Police are continuing to investigate an allegation of treating in Thurrock." The inquiry centres on a lunchtime visit to Elizabeth Gardens retirement homes in the town of Grays, it is understood. Cllr Shinnick, who is currently on leave, is alleged to have given cakes to elderly residents during the visit, which came 11 days before her election victory. Police are expected to speak to her in connection with the claims. Election rules state a candidate is guilty of treating if he or she "either before, during or after an election directly or indirectly gives or provides any food, drink, entertainment or provision to corruptly influence any voter to vote or refrain from voting." The Electoral Commission states that to be guilty of treating one must have a “corrupt intent” and the charge does not relate to ordinary hospitality. I find this story very amusing. In Nigeria where governors give car gift and money to traditional rulers and voters, to beg for votes, no one frowns at it much less accuses the governors of wrong doing, rather, we praise them as if they were God.